Thrill seekers and scare fanatics will want to make their way to Kingston this month – with a bunch of haunted attractions and events running all throughout October, you’ll see why it’s the perfect place to get in the Halloween spirit. 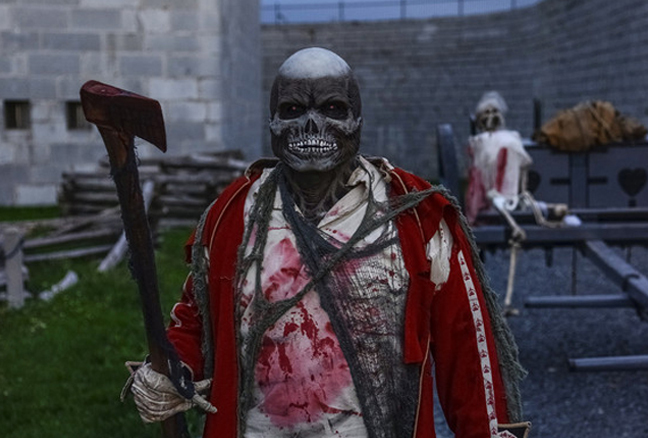 Halloween season just wouldn’t be the same without a visit to Fort Fright – and even if you’re of the ‘Been there, done that’ mindset, it’s worth noting that this haunted attraction just gets better and scarier every year. Terrifying new animatronics and special effects aside, this year is all about fears and phobias. Experience six “PhobiAreas” like death, decay, clowns, spiders, blood, and darkness. And of course, enjoy the Total Scare Packages for old favourites like Coffin Ride: Buried Alive, the Fort Fright Safe Pass and Overnight at Fort Fright. 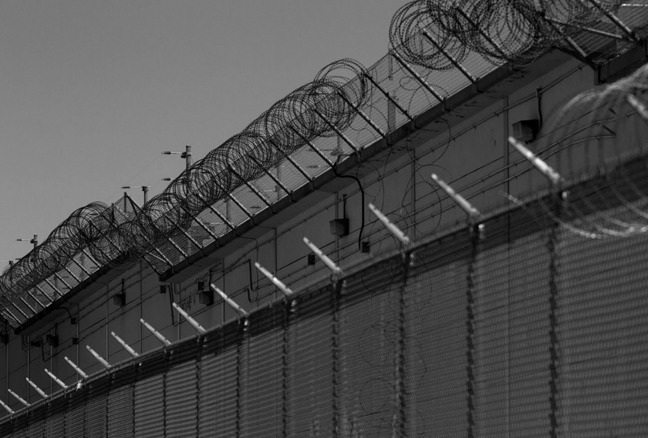 If you’ve been dying to get a peek of what’s inside the infamous walls of Kingston Penitentiary, find the package that works best for you and before you know it, you’ll be inside Canada’s oldest and most notorious maximum security prison. The guided tours provide an intimate look at the Pen as an amazing historical building and a national historic site that predates Canadian confederation. Being one of the oldest cities in Ontario means that Kingston has quite the treasure trove of scary stories and hauntings to share, from the horrors of Kingston Penitentiary, the child deaths at Bellevue House to the fair maiden ghost of Cedar Island. And what better way to find out the answers to terrifying questions like what happened when graves were robbed in Skeleton Park and why you can still stumble upon them today, and why grass won’t grow at the foot of Sir John A. Macdonald’s tomb that with a Ghost and Mystery Trolley Tour? 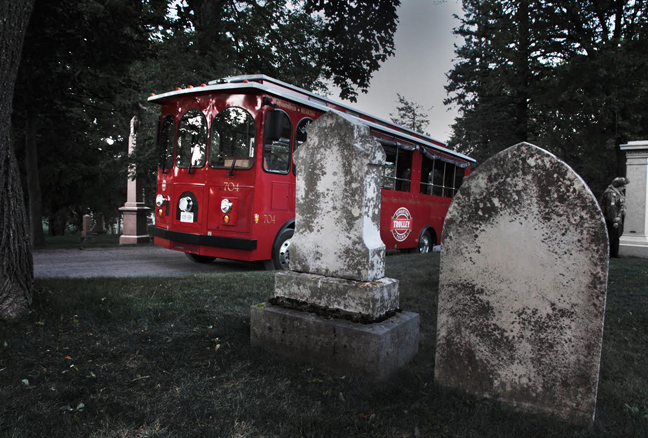 Departing nightly from the Visitor Information Centre at 209 Ontario Street, this tour takes you all around downtown Kingston, Fort Henry, the Cataraqui Cemetery, Rockwood Asylum and Kingston Pen! 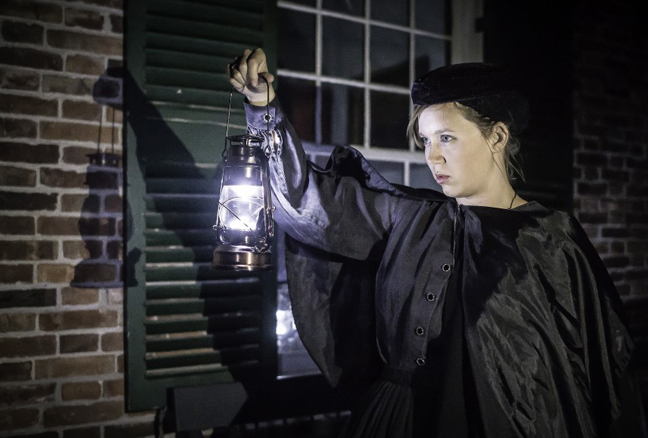 There really is no better time to experience spooky ghost stories told by award-winning storytellers than Halloween – and luckily for you, The Haunted Walk of Kingston has a few stories and tours to choose from. You can experience the classic Haunted Walk, which takes you through Kingston’s old Sydenham Ward and features haunted hotels, hidden burial grounds, grave robbings, hangings at the courthouse and Kingston’s famous haunted courtyard. 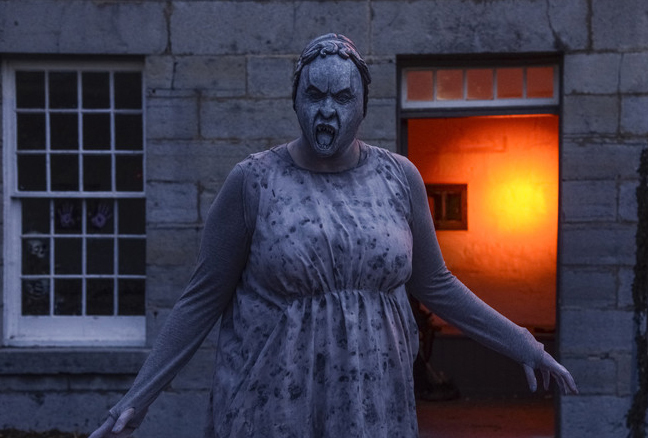 Or, try the Haunted Walk experience at Fort Henry (as seen on Ghost Hunters) where you can explore the 19th-century fortress as your guide details its tragic history. If you like to think as much as you like to be scared, then Improbable Escape’s Coroner’s Report is for you. 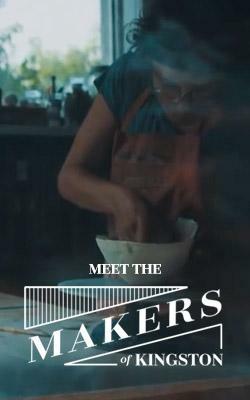 The premise: the doctors at Ambrosia General Hospital have been put under a microscope after some strange happenings inside the hospital – some people have gone missing, and it’s been discovered that the doctors were using live bodies for medical research. 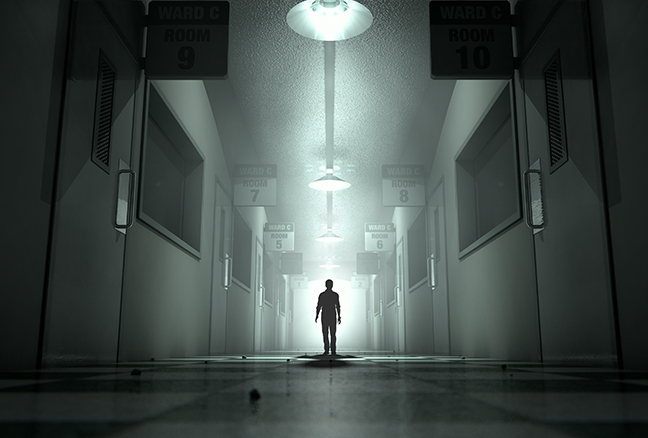 You and your friends decide that you want to explore the abandoned hospital… but will you survive and escape? Intriguing, no? It’s worth noting that the Coroner’s Report has an extreme content warning, and is for those aged 16+. It’s that time of year again where, for one fleeting afternoon, you can forget that you’re a member of the living and embrace your inner zombie. Meet the rest of your comrades at McBurney Park (rain or shine) and prepare to freak out the normies as you make your way through downtown Kingston for the 10th annual Zombie Walk. It’s a free, all-ages event, but in support of the Kingston Youth Shelter, the Walk asks zombies to bring along non-perishable food items.